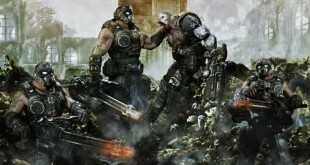 Home » OPINION PIECES » Gears of War 4 Campaign: Did The Coalition Get It Right? Gears of War 4 Campaign: Did The Coalition Get It Right? Full spoilers for the Gears of War 4 campaign follow; you have been warned! If you haven’t completed the game’s story yet, please do so first and then come back to read. Gears of War 4 had that “special event” feel about it, didn’t it? The last entry in the series was Gears of War Judgment, but being a prequel with a story of little dramatic consequence (compared to the high stakes of the original trilogy), most folks seem to sort of skip over Judgment when they think back to their most fond memories of Gears. Perhaps this is why it felt as though it had been so long since a proper Gears of War game was delivered to us (despite the fact that Judgment was a perfectly good game in its own right). Pair the community’s anticipation with the fact that this was The Coalition’s first brand new Gears game, and you have a video game with a lot riding on it. If Gear of War 4 were to be a critical flop, or maybe even if it just had lukewarm reviews, future entries in the series would probably lose sales due to diminished expectations for the new developers. 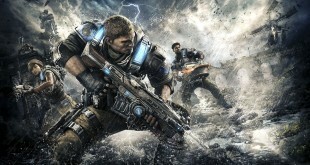 But as we now know, Gears of War 4 was received very well in the gaming world and looks to have set a solid foundation for even more sequels in the future. So, I thought it would be a good time to reflect on the story of the series’ fifth entry, and to really examine the campaign that The Coalition crafted. The decision was made to set this game 25 years after the conclusion of the original trilogy, with three new protagonists to lead the narrative. This approach seems like the most logical as Gears of War 3 tied everything up rather nicely; the genius decision, however, was to make Gears of War 4 the beginning of the next generation with Marcus Fenix’s son JD taking the lead role this time around. JD Fenix is a pretty cool character and packs a little more wit in his personality than Marcus does, so I’m anxious to see how deep the future narrative will go with him; will we see a darker side of JD’s personality when things get really bad? 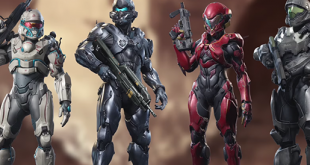 The other new protagonists, Kait and Del, seem like worthy follow-ups to the previous side characters of Cole, Dom, and Baird, and again I am anxious to see how their development is handled in Gears 5 and beyond. 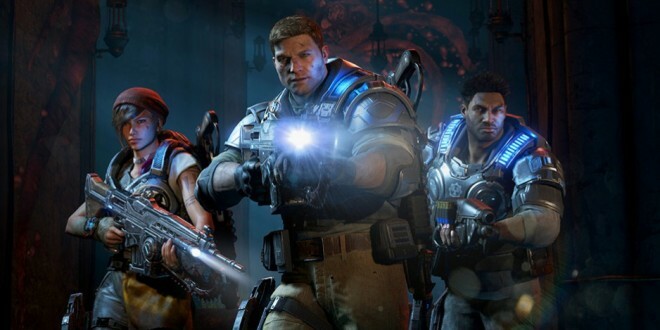 As for the older generation characters, I was glad to see that they were included in the story of Gears of War 4 without ever feeling like they took center stage from our new heroes. Even Marcus, who is featured the most heavily of the old gen crew, is removed from a good chunk of the campaign when he is taken by a Snatcher. This thread of the story allowed the three new leads to shine on their own and rescue a beloved character, without sacrificing any logic in the storytelling (in fact, Marcus’s time in the Snatcher is what allows him access to the “Swarm network” and drives the campaign towards its climax). I was also happy with the decision to not kill off any of the older characters, as I feel that it would have stolen the show from our new heroes in a big way. Imagine if The Coalition decided to kill Marcus; everyone would walk away from Gears of War 4 talking about Marcus’s death instead of JD, Kait, and Del. All this being said, I do think the campaign in Gears of War 4 has some issues with pacing. The flashback prologue is well done, and its nice to get the chance to see Dom alive again. But after this sequence, it feels as if the first two or three Acts are nothing but relentless cover-and-shoot sequences. I realize that this is a Gears of War game and cover-and-shoot is the crux of what this series is, but the later half of the game shows how the core gameplay can be mixed in with vehicle segments and more imaginative scenarios. When I look back at my time with the campaign, all of the most fun moments were big boss fights and unique situations that occurred in the last few Acts. I get that you want to ramp up to a climax, but you have to pepper in some of these same type of moments in the earlier game too; I could see someone getting bored in the first half of this campaign and never finishing it or experiencing the best moments it has to offer. For those that do stick with it, the campaign in Gears of War 4 does end on a very strong note. I had a huge smile on my face throughout the entire section in which you destroy everything in your path in a giant DeeBee mech, and fighting the Hive Boss is a lot of fun. The ending cutscene is also very affective. Despite the fact that we didn’t get to spend much time with Reyna, it was still gut-wrenching to see Kait’s tearful goodbye to her mother, as Kait essentially has to execute Reyna to prevent the Swarm from consuming her completely. And on top of that, we got a cliffhanger that promises an interesting narrative moving forward, with the implication being that Kait is the granddaughter of the evil Locust Queen, Myrrah (mind blown). All in all, even with some pacing problems, the Gears of War 4 campaign is a good one. With heaps of hype and expectation levied on them, The Coalition had to deliver a good product, and they absolutely nailed it. What did you think of the Gears of War 4 campaign? Did you enjoy it as much as I did, or were you disappointed? Let us know in the comments!